Hours: By appointment only – ring 03 54 281245 to book During Puppy season – July to September the Sanctuary has dingo puppy open days each weekend – two sessions daily – 11.00 am and 1.00 pm. 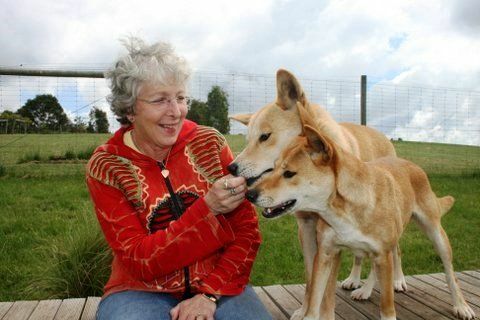 The Dingo Discovery Sanctuary and Research Centre is operated by the Australian Dingo Foundation, a registered Charity and Federally recognized environmental organization. 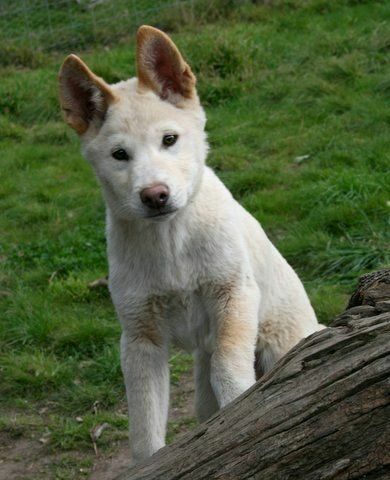 The Australian Dingo is a keystone predator in the Australian eco-system. It has been continually persecuted by the farming industry for over 200 years, and has in States like Victoria, been driven to near extinction in the wild. Trapping, shooting and baiting, using the cruel poison 1080, continue in Victoria, even in our National and State Parks. The Dingo has been scientifically established as a unique canid species found nowhere else in the world having been in Australia for over 20,000 years according to the latest scientific research. The Dingo is Australia’s version of the Tiger, Lion, Bear or Wolf of other countries, our top order keystone predator that controls all others in the Australian environment. 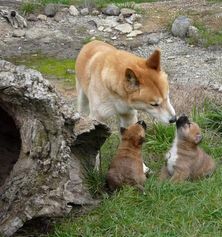 Conservation – by maintaining the largest captive breeding population of DNA tested 100% pure Dingoes in the world. 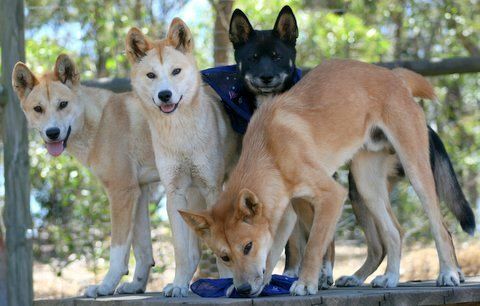 Research – the Sanctuary and the Foundation supports and makes available Dingoes for “non-invasive” research programs from Universities and research facilities from both Australia and overseas. Education – by highlighting the plight of the Dingo in the Australian environment and its key role in balancing the very sensitive Australian eco-system. We provide visitors with up to date scientific evidence on the plight of the Dingo as well as their unique physical features. The Dingo Discovery Sanctuary and Research Centre was awarded the prestigious “Keep Australia Beautiful” award for conservation in 2012. The Sanctuary is located in the peaceful Macedon Ranges region approximately 60 kms from Melbourne surrounded by dense bush and home to Kangaroos, Wallabies, Echidnas, Koalas and hosts of birds including Currawongs, Magpies, Galahs, Gang Gang and Sulphur Crested Cockatoos and Kookaburras. A one-on-one interaction with the Dingoes at The Dingo Discovery Sanctuary and Research Centre is a once in a lifetime event – tick it off your bucket list! We can guarantee you will come away from your visit with new found respect and admiration for this much maligned species with a much better understanding of its unique features and how important the role of the Dingo is in the Australian eco-system.